“Global Trade Relations” examines the political, legal and institutional aspects of today's global trading system. It focuses on policy, law, business, technology and national security issues of global trade relations. Specifically, it focuses on the WTO and the role of the United States in global trade relations. It gives particular attention to China as well as to actions of the Trump administration. 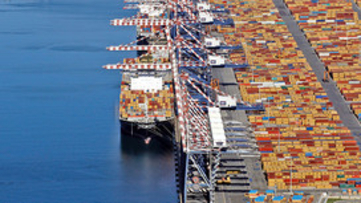 This course assesses critical issues concerning global trade. This assessment is from both public and private sector perspectives. Issues examined relate to the World Trade Organization, its Dispute Resolution System, U.S. trade policy, the most recent round of global trade negotiations, and current cases being litigated in the WTO. There is an emphasis on U.S. - China trade relations as well as on other major trade issues, such as regional trade arrangements and current negotiations (TTP and TTIP). Issues also considered are those relating to the U.S. system as it interfaces with the global trading system. In addition, the following specific topics are examined relating to the role of the United States in global trade relations: the constitutional concepts of separation of powers and federalism (and role of states), extraterritoriality, trade agreements / "fast track," import relief, export controls, trade and financial sanctions, corporate corruption, global antitrust and global mergers, cyberespionage of trade secrets, and various national security aspects of trade policy including intellectual property rights. It is important to understand the critical aspects of global trade in order to have a meaningful and critical discussion of the public policy issues on competition, competitiveness and economic development confronting the global trading system and the United States. This course is taught through lectures, class discussion, team presentations and guest lectures. Recent lecturers have included the former U.S. Undersecretary of Commerce for International Trade, the former Chairman of the U.S. International Trade Commission and the former Virginia Secretary of Commerce as well as the former governor of Virginia. Questions posted on this website form the basis of most class sessions and students are expected to consider them prior to each class. The principal materials used this class are the actual documents emanating from official sources -- which are provided on this website and in the sourcebook. They need to be reviewed, along with the news updates and blog, prior to each class. The course is highly interactive and class participation will be considered as part of the final grade. Attendance is required. The profession of scholarship and the intellectual life of a university as well as the field of public policy inquiry depend fundamentally on a foundation of trust. Thus any act of plagiarism strikes at the heart of the meaning of the university and the purpose of the School of Public Policy. It constitutes a serious breach of professional ethics and it is unacceptable. Plagiarism is the use of another’s words or ideas presented as one’s own. It includes, among other things, the use of specific words, ideas, or frameworks that are the product of another’s work. Honesty and thoroughness in citing sources is essential to professional accountability and personal responsibility. Appropriate citation is necessary so that arguments, evidence, and claims can be critically examined. Plagiarism is wrong because of the injustice it does to the person whose ideas are stolen. But it is also wrong because it constitutes lying to one’s professional colleagues. From a prudential perspective, it is shortsighted and self-defeating, and it can ruin a professional career. The faculty of the School of Public Policy takes plagiarism seriously and has adopted a zero tolerance policy. Any plagiarized assignment will receive an automatic grade of “F.” This may lead to failure for the course, resulting in dismissal from the University. This dismissal will be noted on the student’s transcript. For foreign students who are on a university-sponsored visa (eg. F-1, J-1 or J-2), dismissal also results in the revocation of their visa. Office Hours: Mondays 6-7 pm. Rm. 661 and Thursdays 3-4 p.m.(Foundation Hall). If you are a student with a disability and you need academic accommodations, please see me and contact the Office of Disability Services (ODS) at 993-2474. All academic accommodations must be arranged through the ODS. o To understand the development and operation of a rules-based international trading system. o To understand the rule-making process (negotiations and trade rounds) of the World Trade Organization. o To understand the adjudication process and application of global rules to specific disputes of the World Trade Organization (Dispute Resolution System). o To understand the participation of the United States in the global trading system and global trade governance. o To understand the impact of the basic constitutional parameters of the United States in its participation in the global trading system. o To understand basic U.S. cases and legislation governing U.S. participation in the global trading system. o To understand the dual nature of international trade agreements as creating domestic and international obligations. o How to research case decisions of the WTO. o How to analyze case decisions of the Dispute Resolution System. o How to determine the implementation of the WTO decisions (Dispute Settlement Body) in terms of trade sanctions and corrective state compliance. o How to research U.S. cases and trade legislation (congressional committees). o How to research and assess U.S. executive enforcement actions in global trade (USTR, USITC and ITA). o To analyze and to interpret global trade issues from the perspective of the United States and the World Trade Organization in a sensible and realistic perspective focusing on law, politics and business. o To understand the basic legal, political and institutional aspects of global trade relations and governance and to discuss them in a competent manner. o To propose realistic domestic and international public policy responses to global trade issues. ONLINE STUDENT JOURNAL New Voices in Public Policy: I will consider nominating the very best papers in this course for publication in New Voices in Public Policy. New Voices is a student- and faculty-reviewed journal that shares SPP's finest student work with the rest of the world. Malawer, U.S. National Security Law (Hein 2009). China Trade (Trump Trip) and (APEC/TPP) and WTO. Video # 1 Tariffs (May 2018). Video # 2 Tariffs (May 2018).